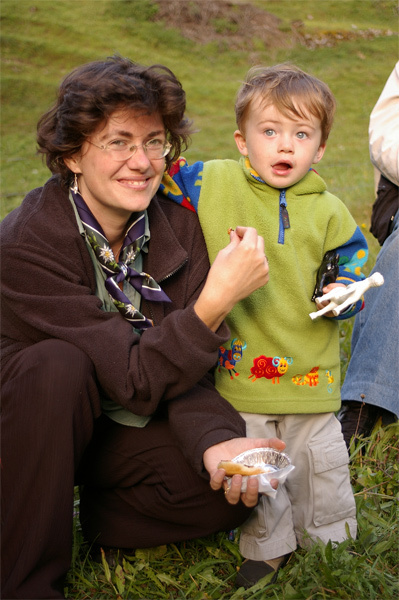 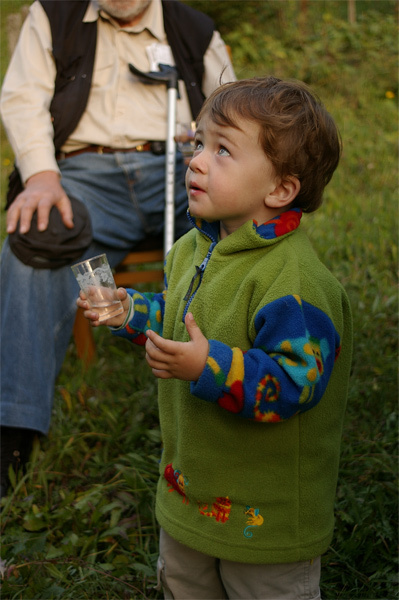 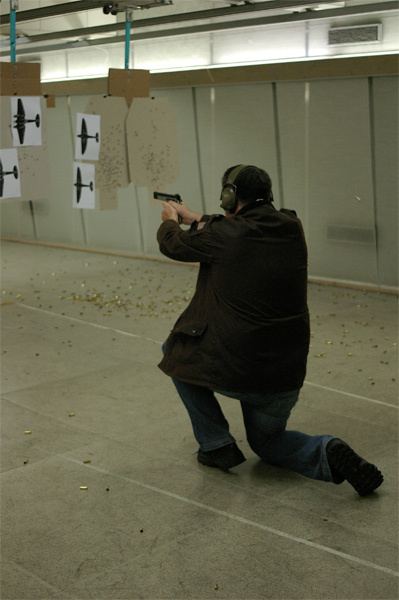 Click on an image to open a full-size version. 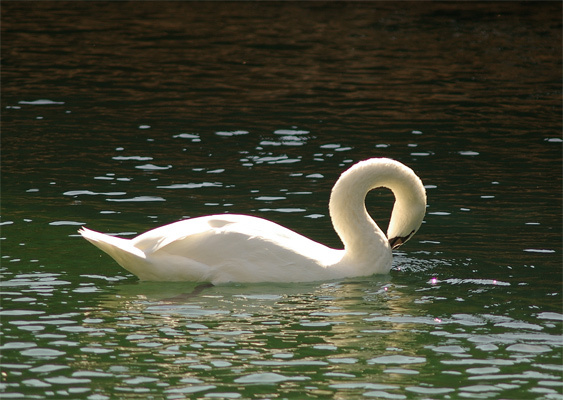 Use your browser's "back" button to return to this page. 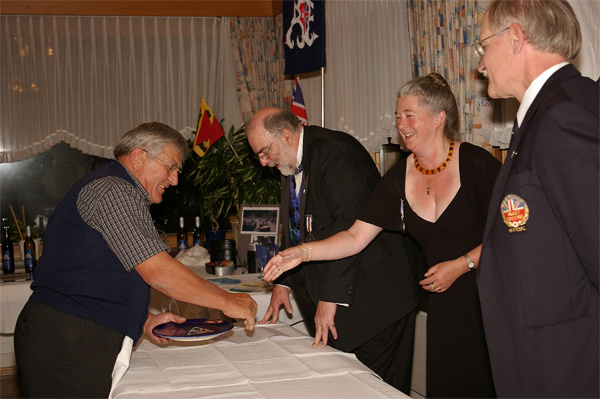 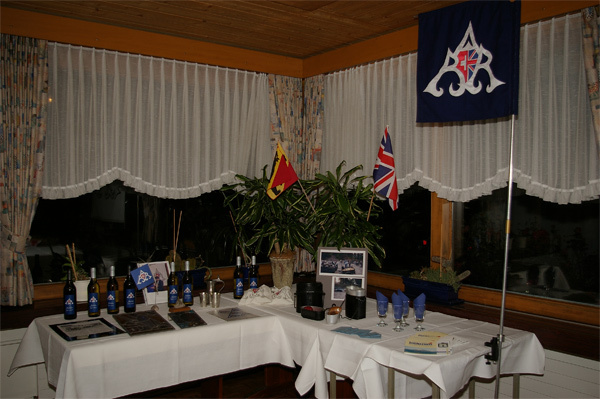 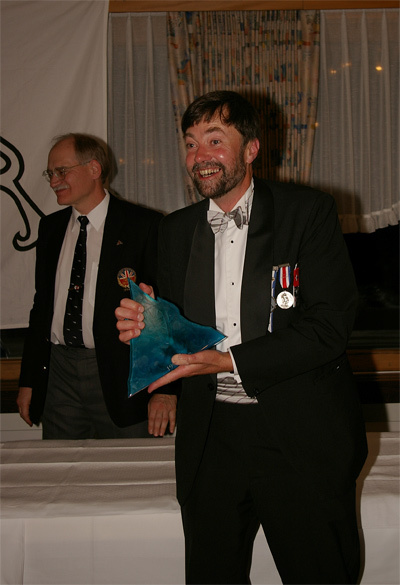 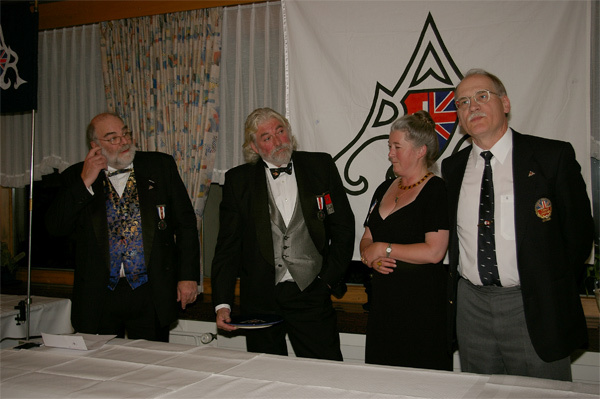 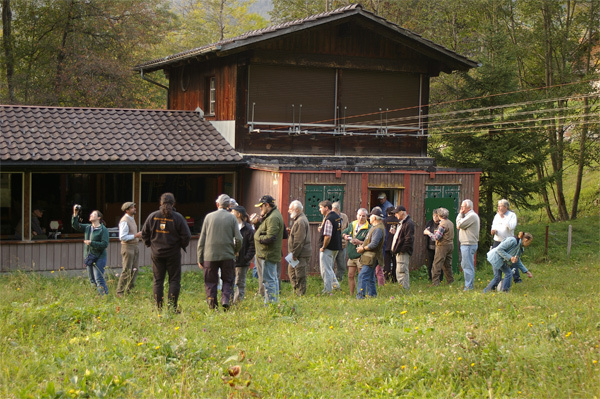 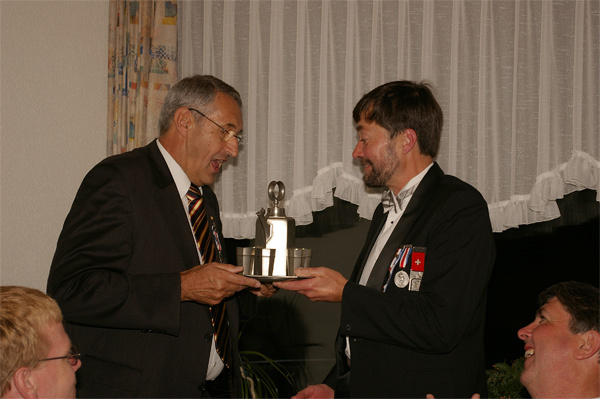 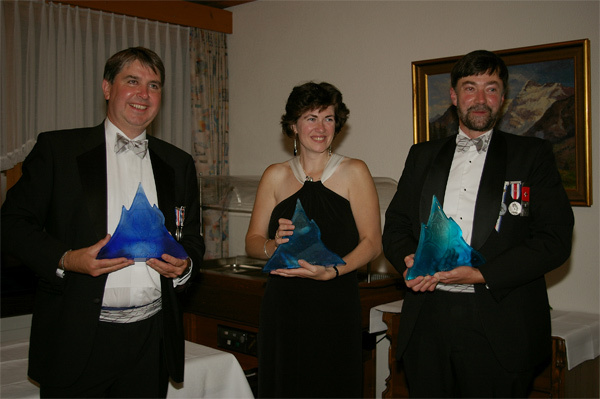 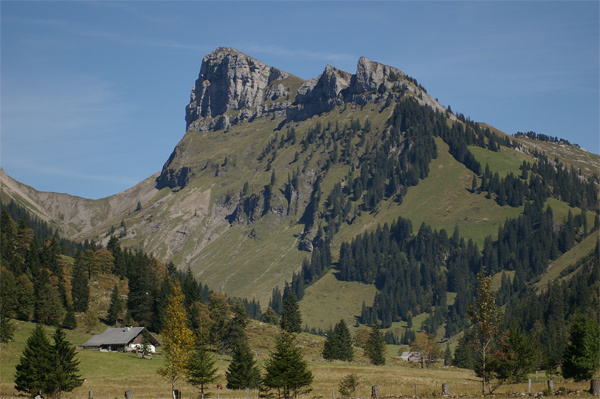 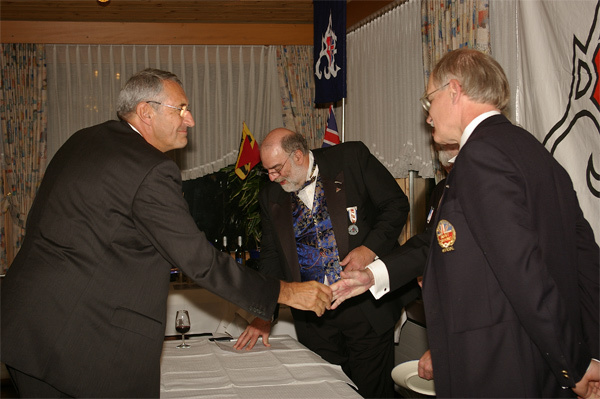 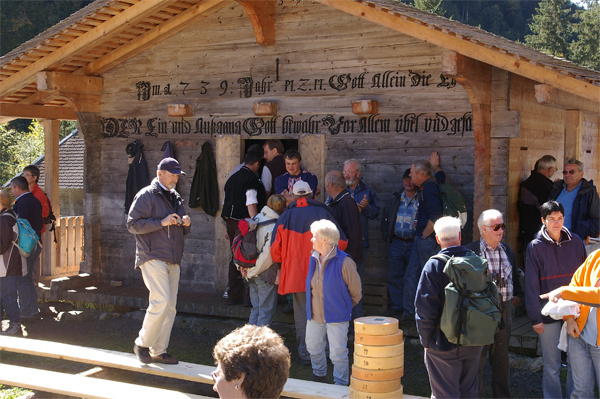 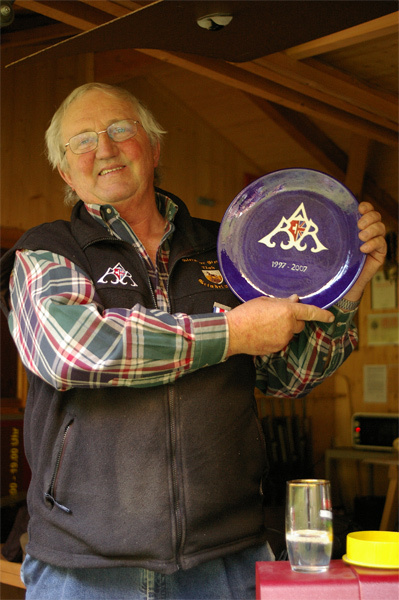 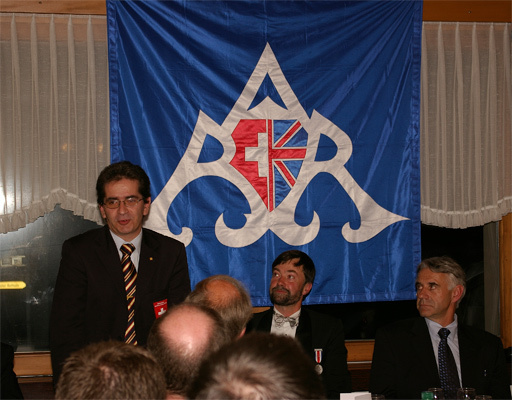 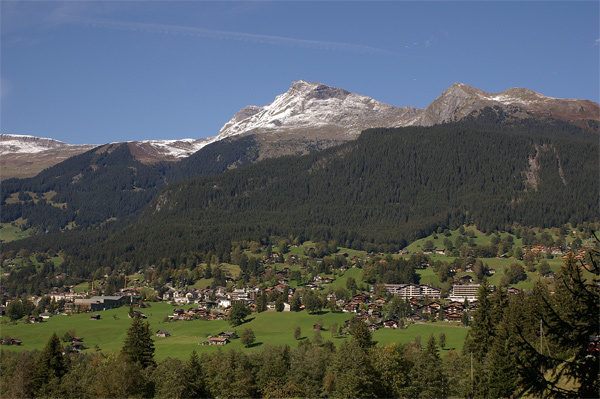 During September 2007, members of the British Alpine Rifles (BAR) gathered in the Swiss Alps for their tenth anniversary championship meeting. 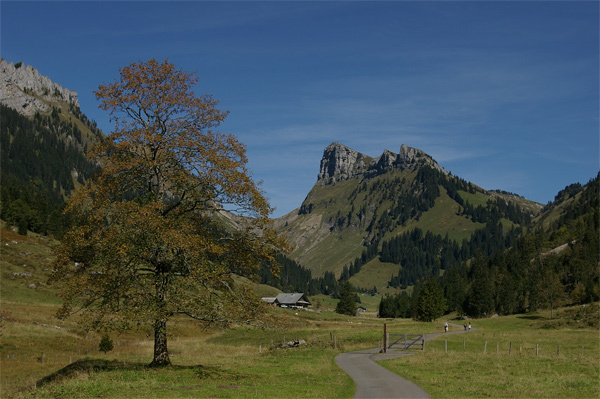 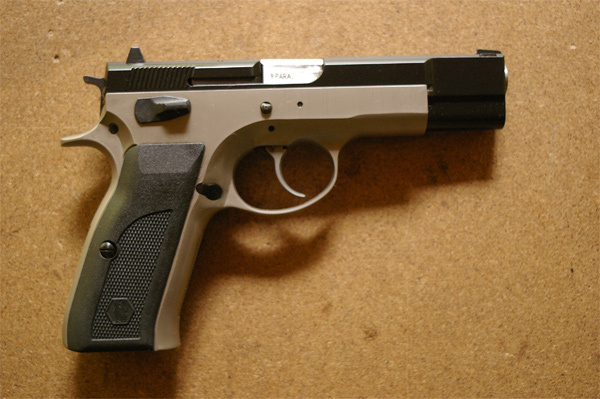 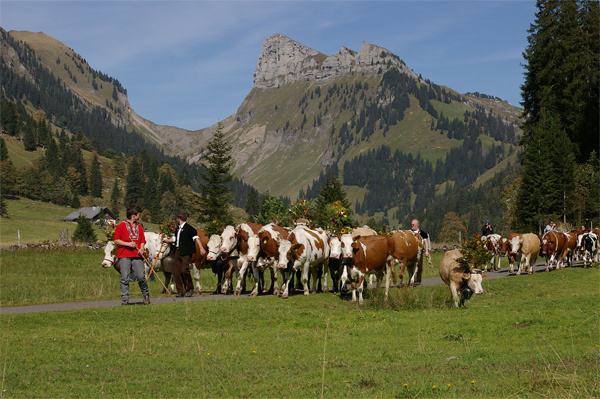 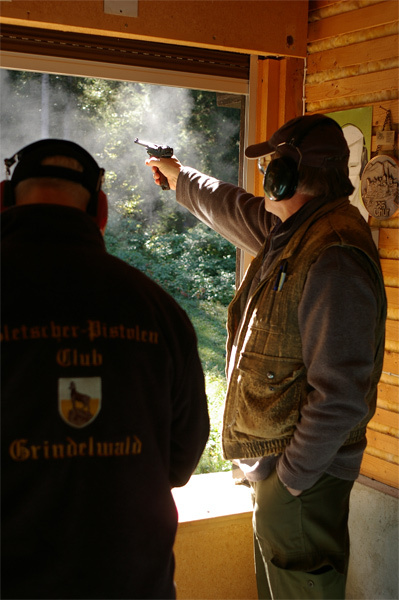 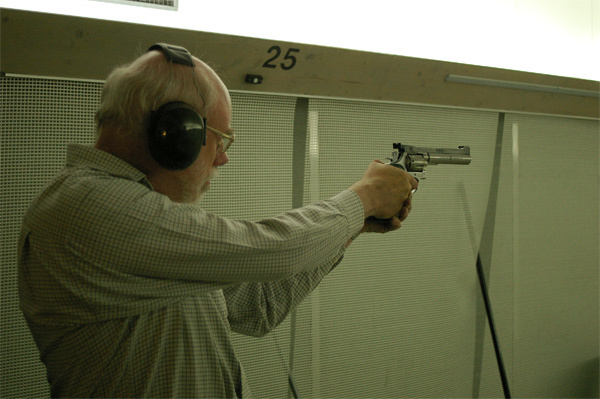 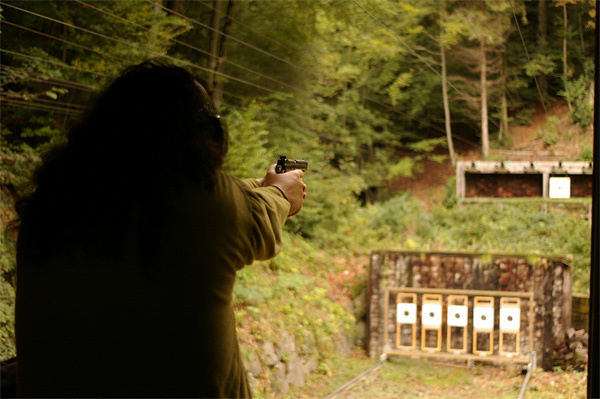 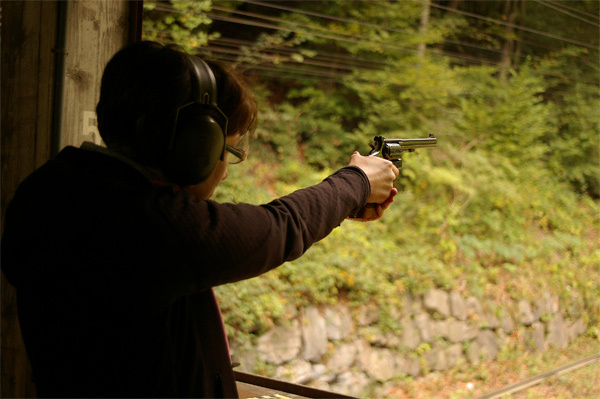 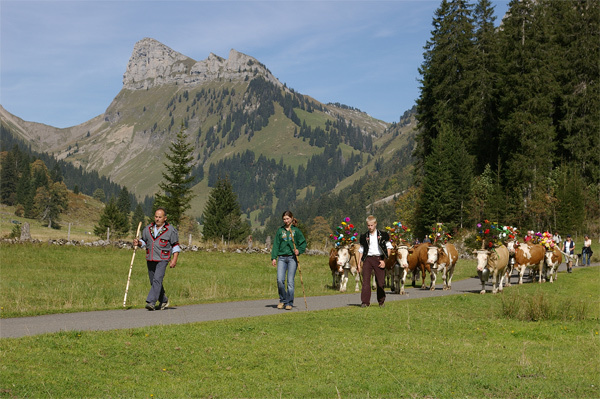 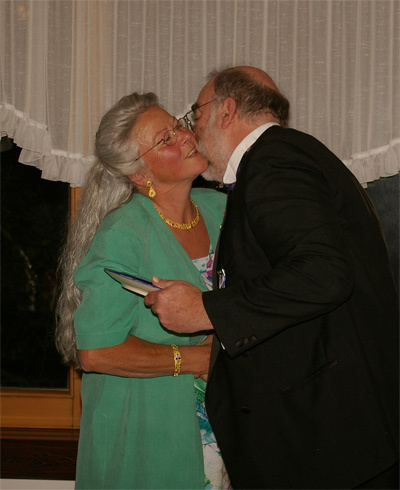 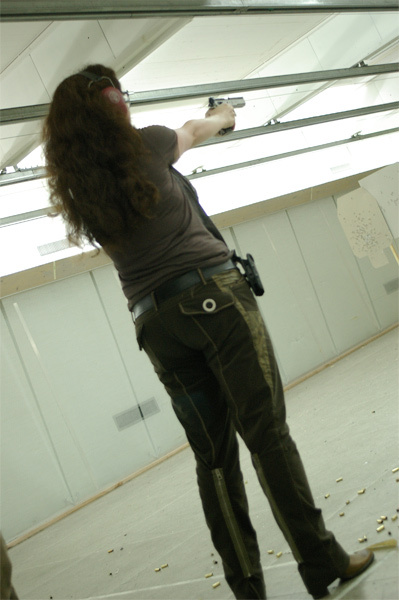 Since the British Government prohibited target pistol shooting in 1997, the Thunersee region of the Berner Oberland has become a second home for those sportsmen and women determined to continue their sport. 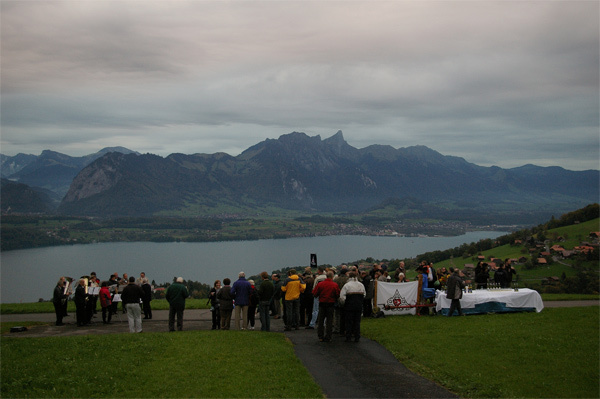 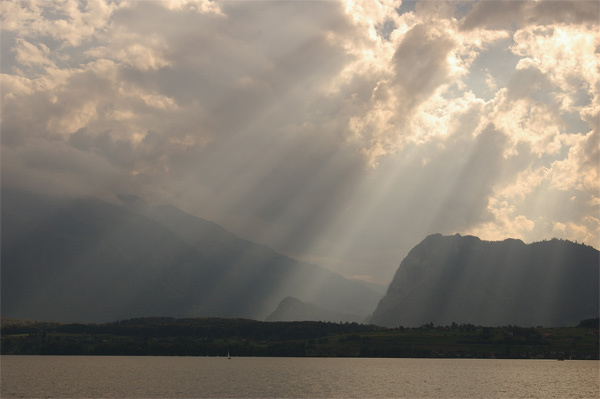 Images below show the Thunersee in its different moods, Niesen ("the Swiss pyramid"), the bustling yet picturesque town of Thun, mountain cattle, Oberhofen castle and the lakeside memorial to Winston Churchill, whose exhortation to "Never give in ..." is echoed in the spirit of BAR. 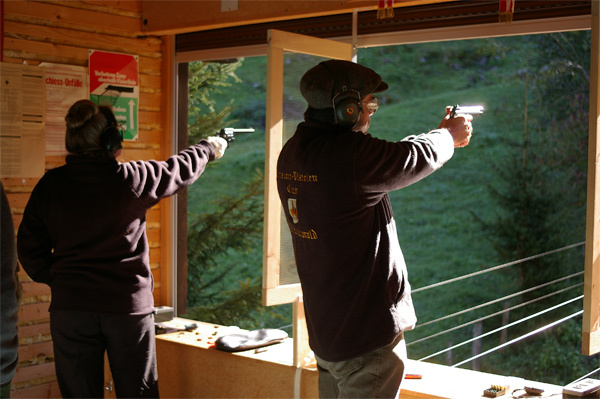 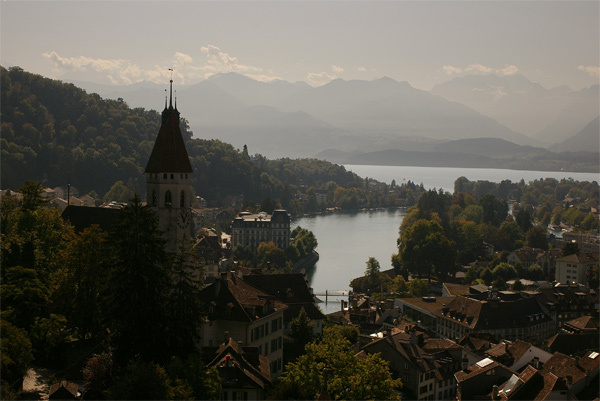 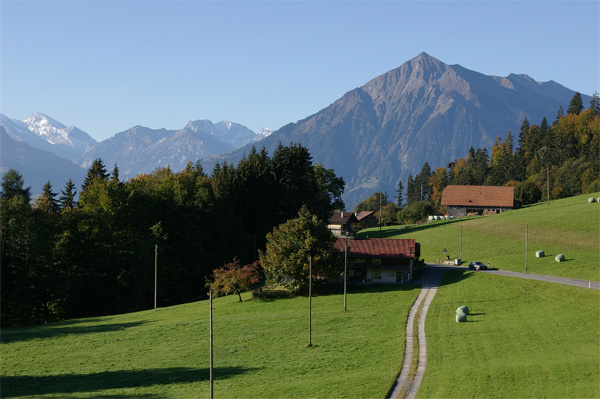 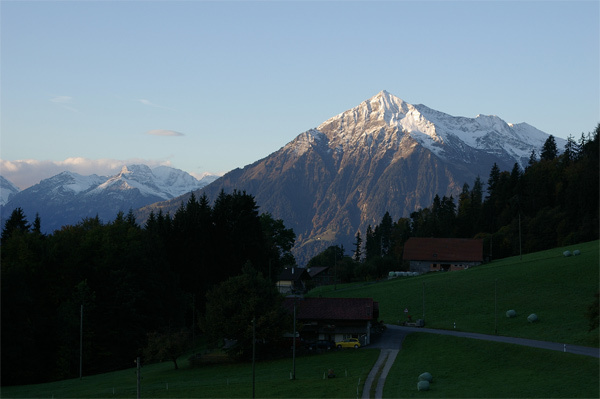 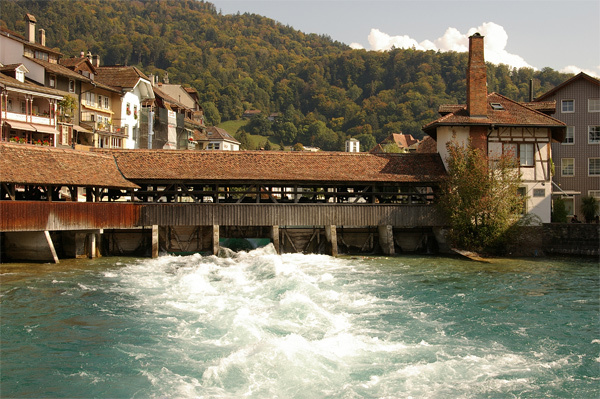 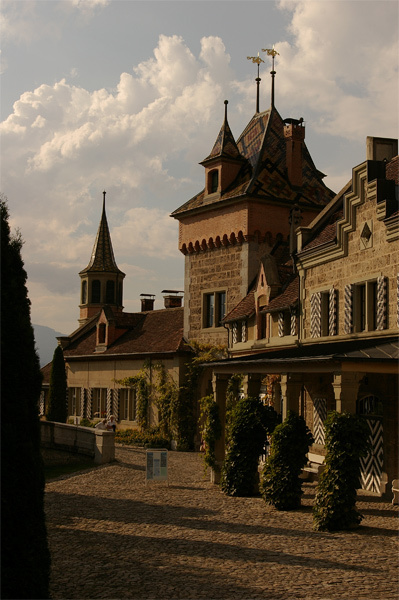 Matches were shot on a number of ranges around the region, including Sigriswil, Interlaken, Thun and Oberhofen. 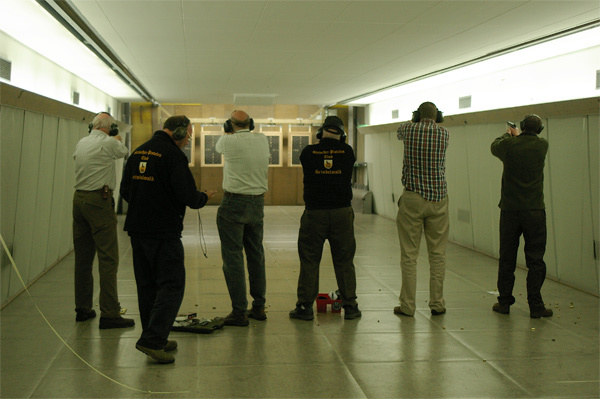 Competitions included the challenging Churchill practical match, this year based on the Battle of Britain. 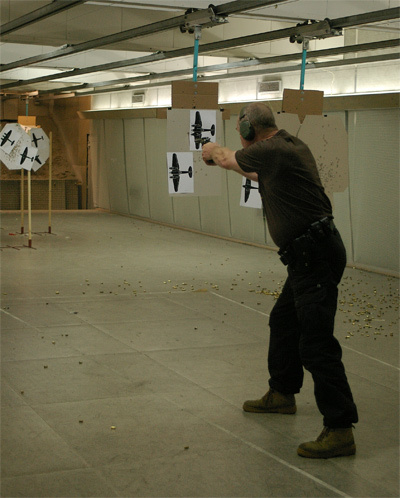 Competitors had to identify and shoot sillhouettes of German aircraft whilst being careful to avoid hitting British ones. 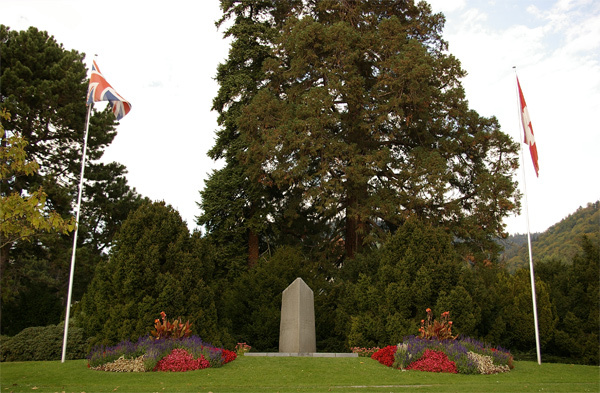 Just as in 1940, it was easy to mistake a Blenheim for a Ju88. 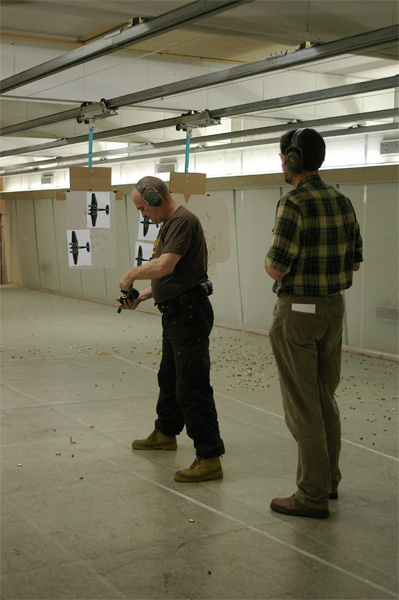 Hitting the wrong aeroplanes or missing the correct ones attracted penalties, and the longer one took between the signal to start (the Range Officer shouting "Tally-ho!") 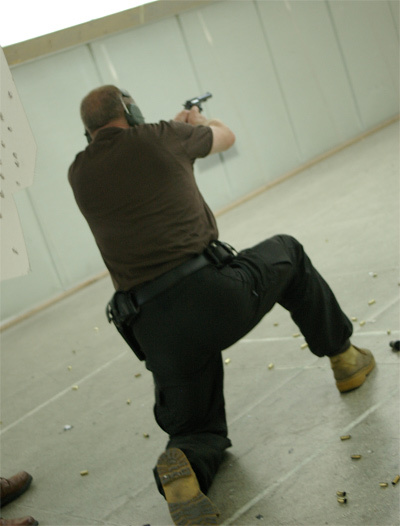 and the finish (the competitor shouting "Piece of cake! 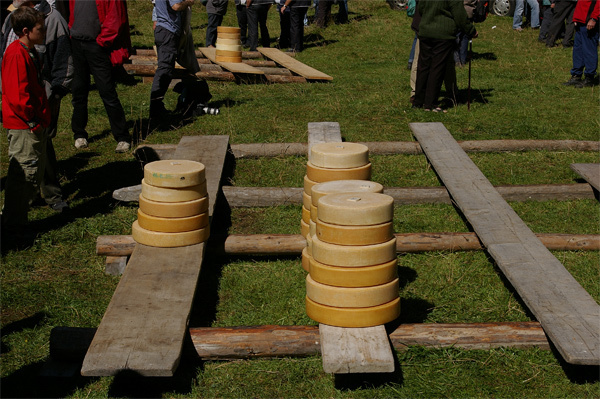 "), the lower the final score. 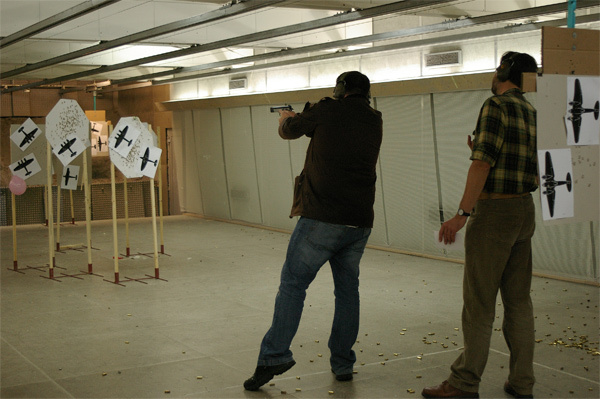 As it turned out, getting a positive score proved difficult ... scores ranged from 116 down to minus 400. 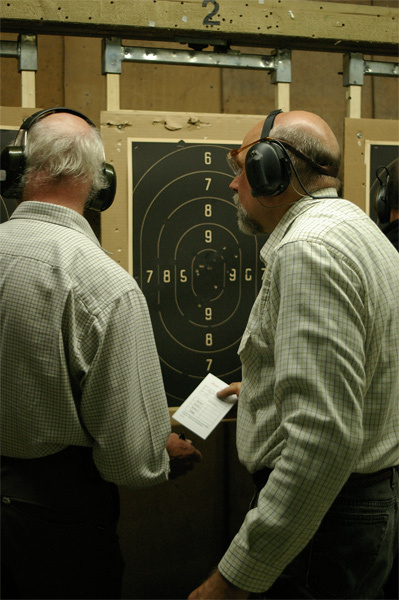 Paraphrasing Winston Churchill: "Never in the field of competition were so many rounds expended by so many for so few points". 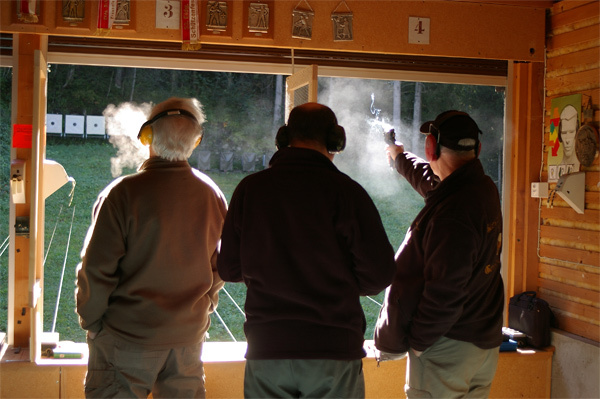 The social side of BAR meetings is almost as important as the competitions. 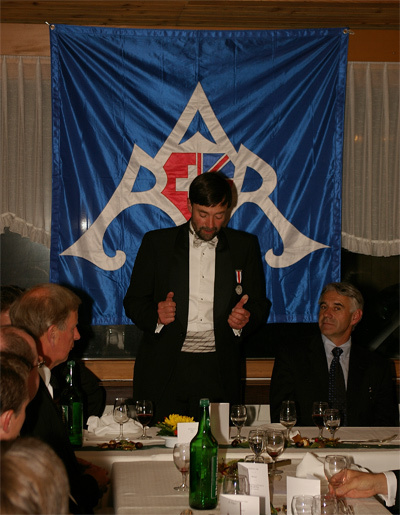 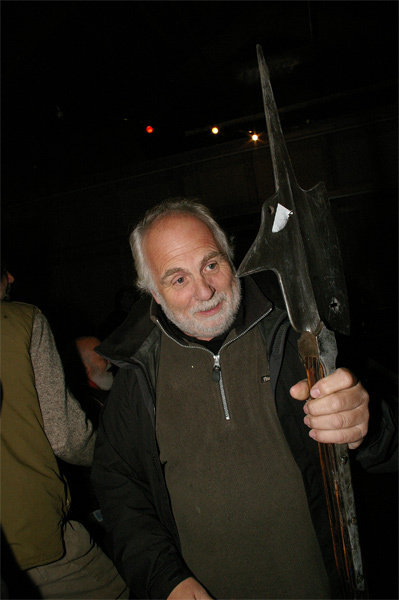 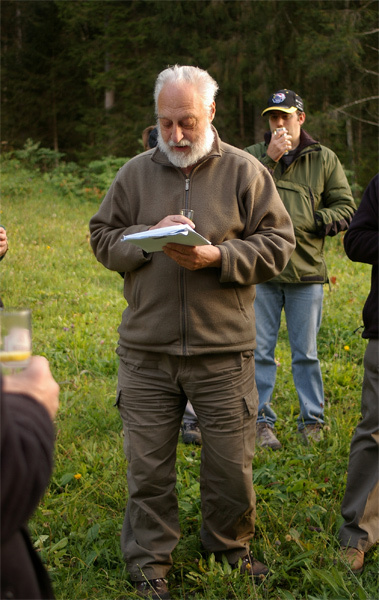 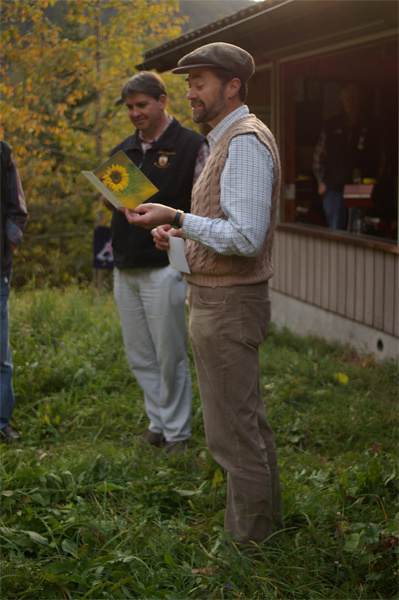 BAR's foundation was commemorated at an evening event at the place where founder and President Richard Munday was walking when he thought of the name "British Alpine Rifles". 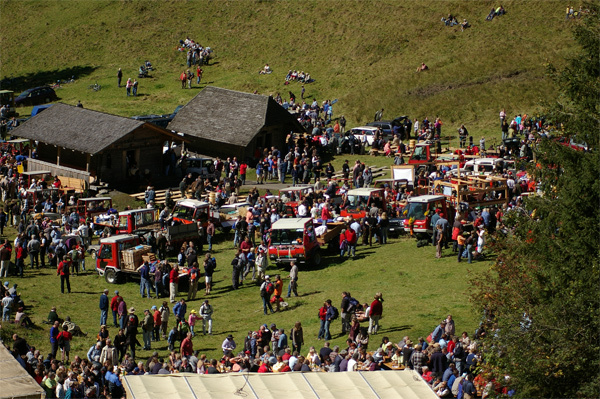 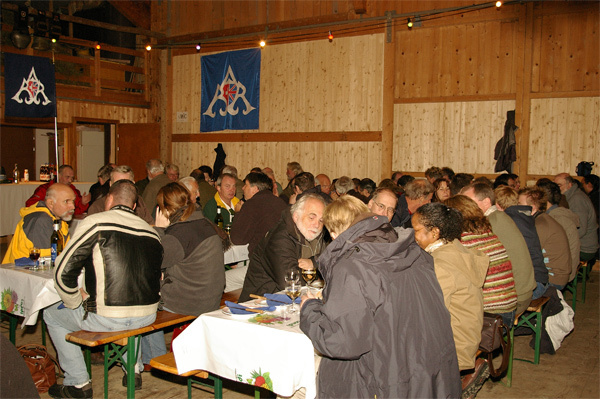 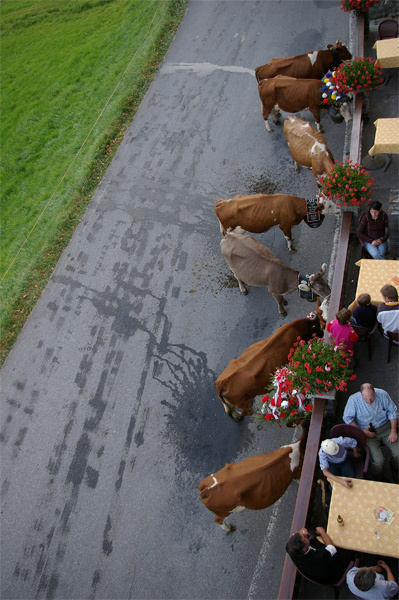 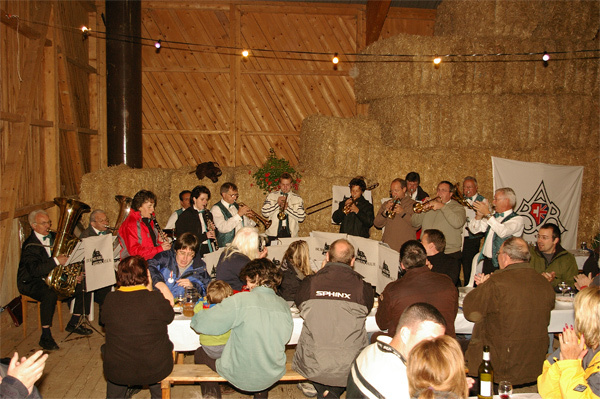 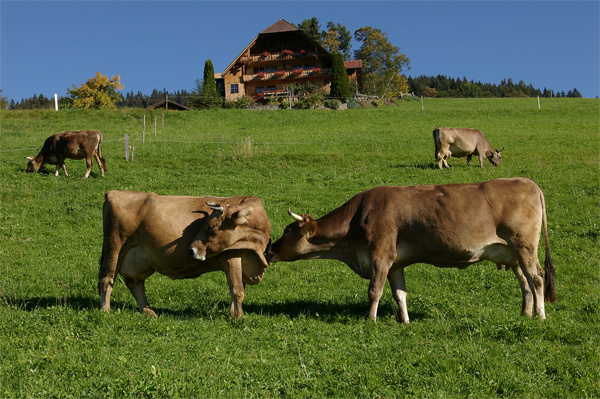 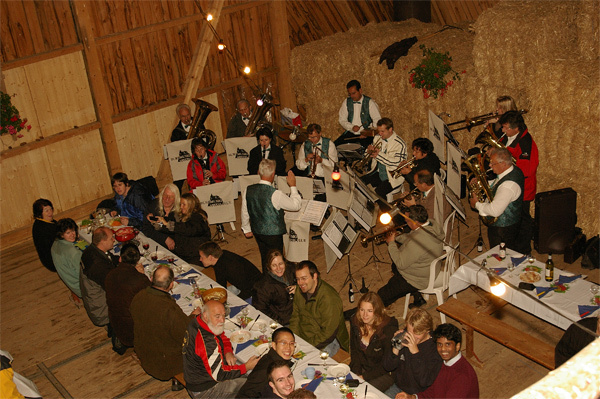 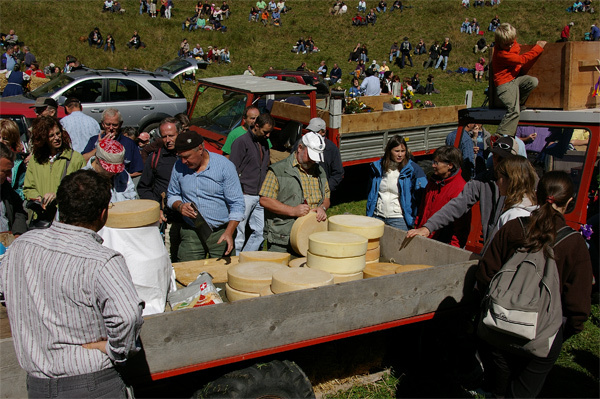 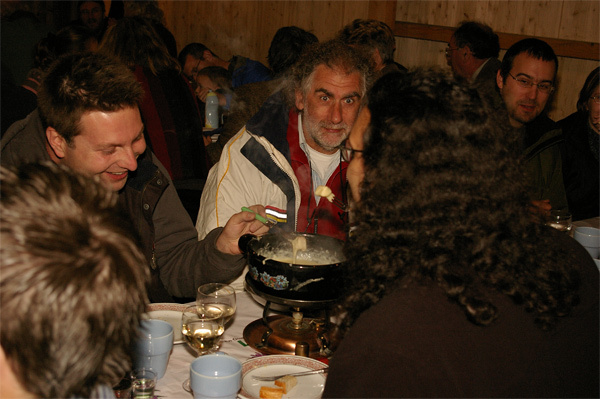 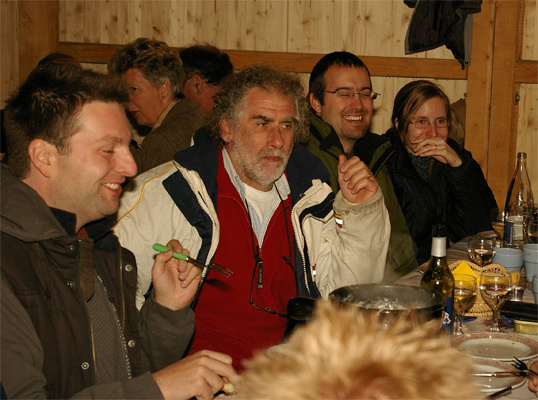 This was followed in true Swiss fashion with a fondue in a nearby barn, entertainment at both events being provided by a local band. 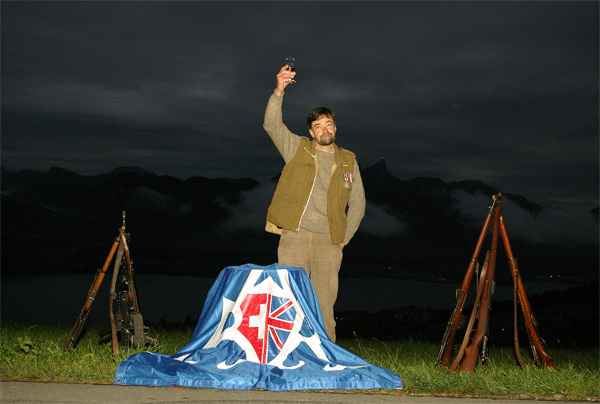 Tunes included the old Swiss national anthem, which sounded very familiar to British ears. 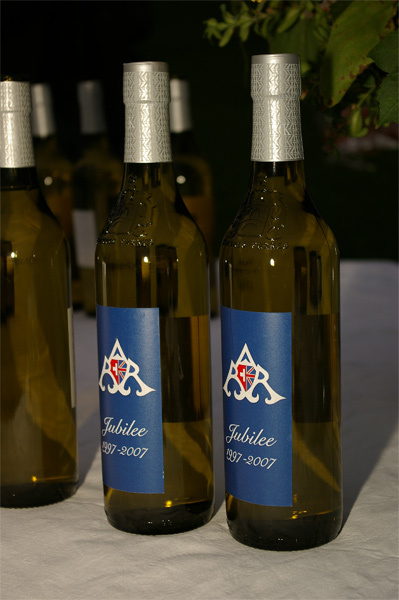 Bottles of commemorative BAR wine were also in evidence. 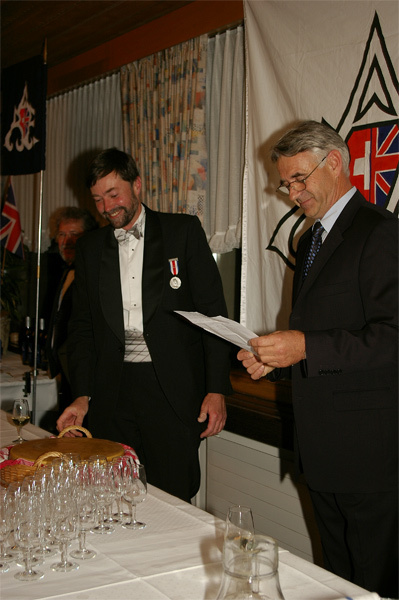 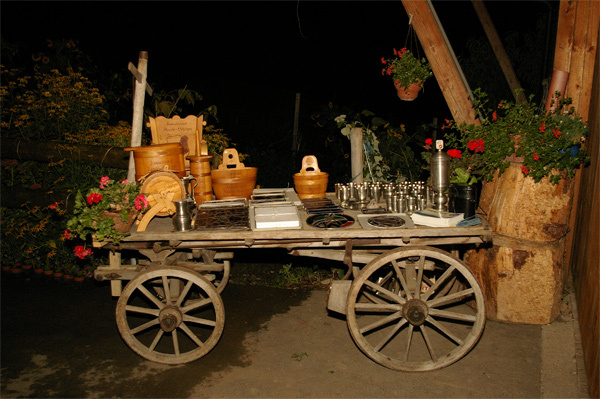 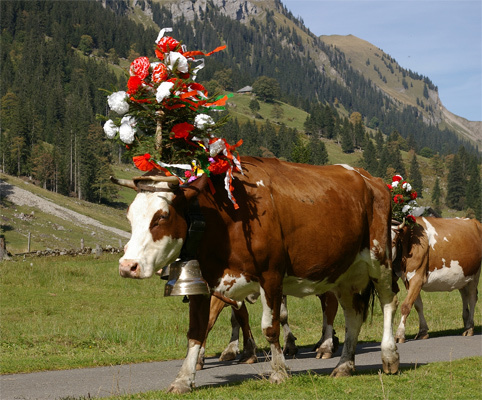 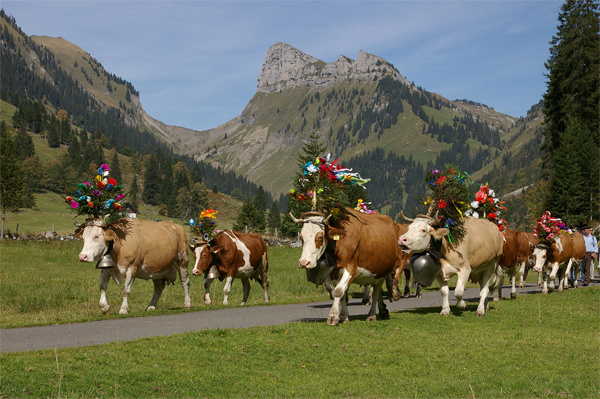 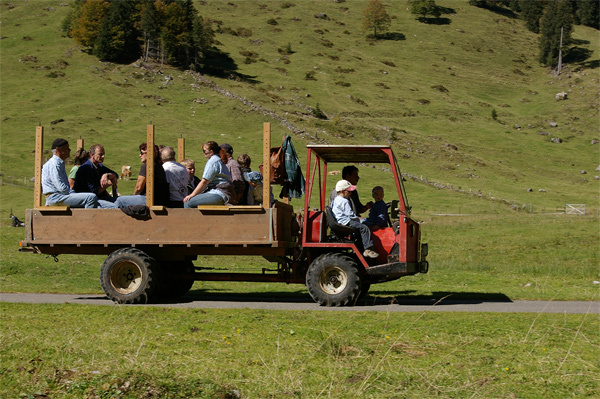 A number of prizes were presented, those awarded by BAR's Swiss hosts being presented from an ancient wooden wagon, whilst Ted George wondered how on earth he was going to get his special prize onto the flight home. 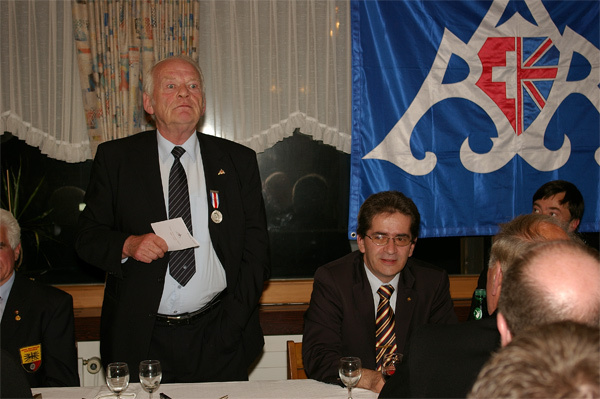 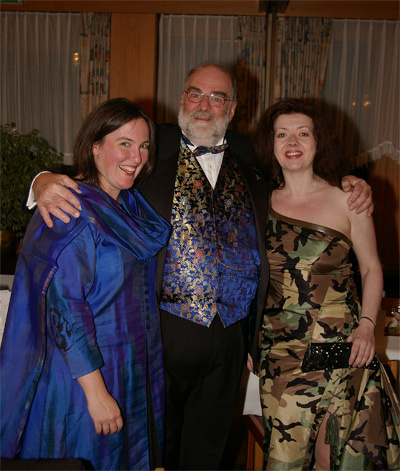 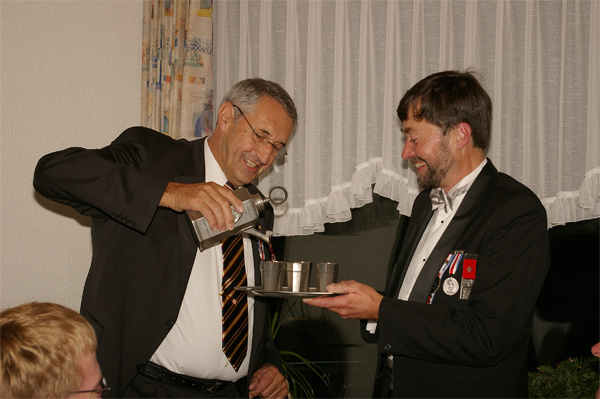 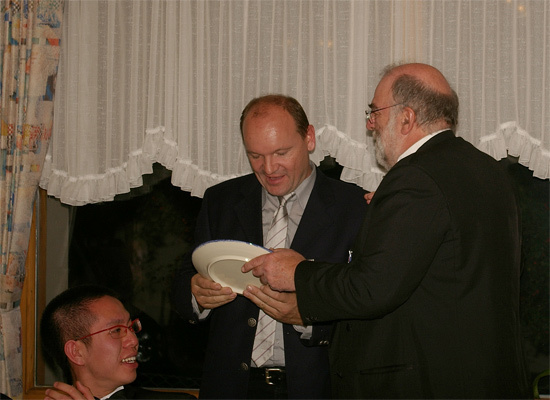 The formal championship dinner held at the Hotel Adler in Sigriswil was addressed by BAR's President as well as representatives of the local community and Swiss shooting organisations. 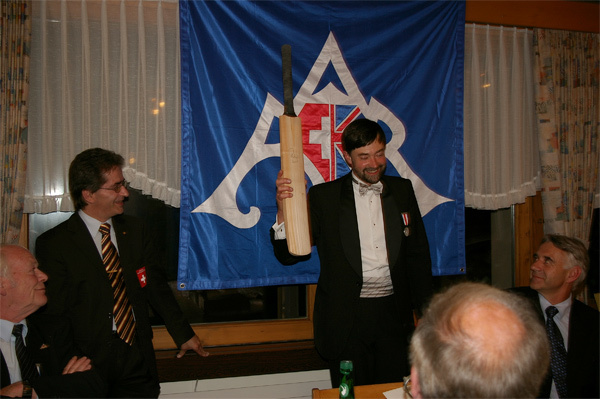 Prizes from the Spring Championships were awarded, including a cricket bat presented by BAR's patron, HRH the Duke of Edinburgh, which was won by Phil Kench. 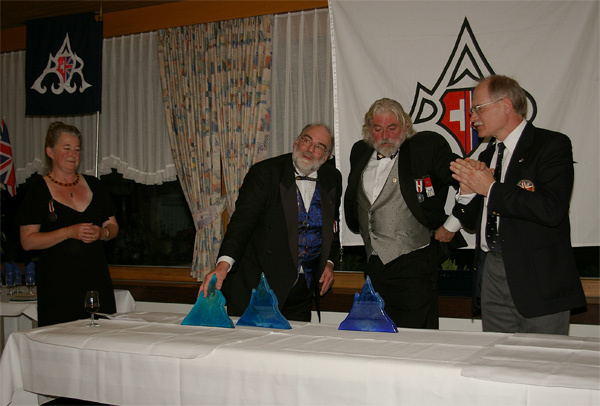 BAR members, led by stalwarts Nick Pollard, Mike Perks, Rachel Kenward and Heinrich Harke, presented special prizes by way of thanks to the club's Swiss hosts and to founders and officers Richard and Nicky Munday and Jim Hawkins. 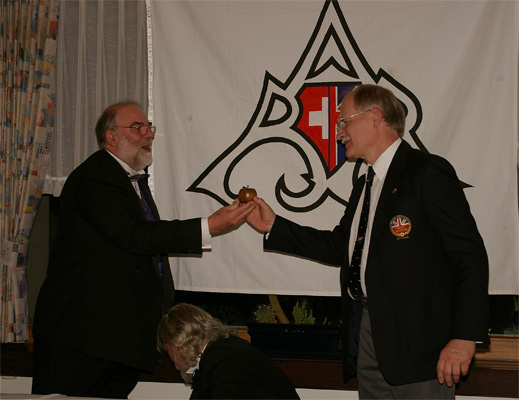 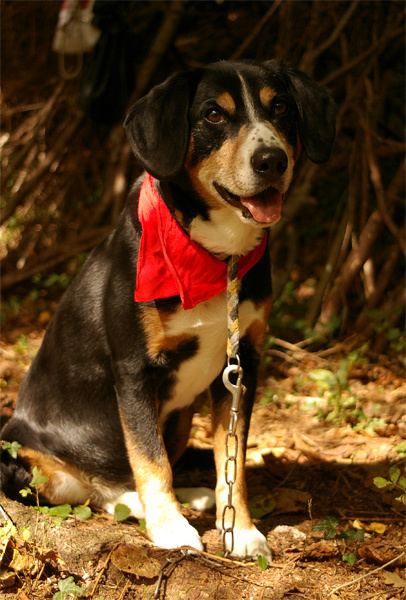 Heinrich was presented with a wooden apple, lest he forget Switzerland as he begins a new life in the wilds of the Caucasus. 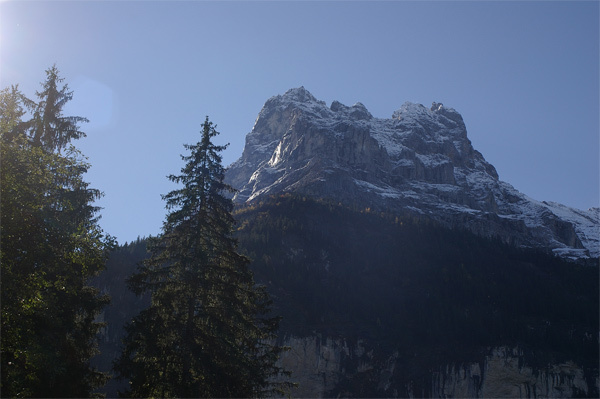 And so to Grindelwald for the final day of the meeting, where the range sits beneath the towering peak of the Eiger. 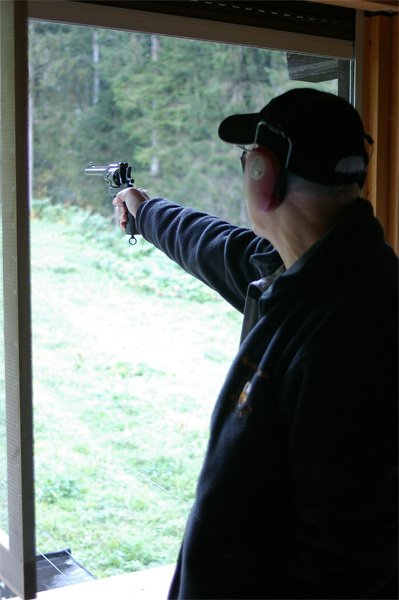 Matches here included one only open to pistols of a type available in 1914. 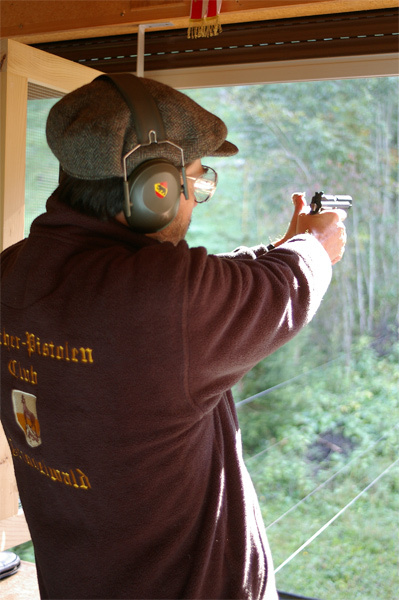 The quintessentially English Webley Fosbery was pitched against the Luger - actually adopted by the Swiss two years before the Germans. 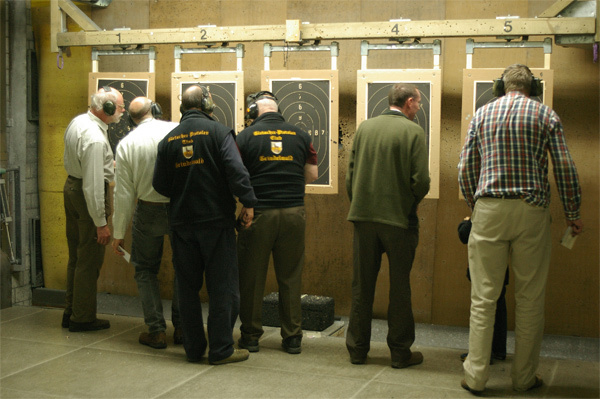 Let's not forget that a championship depends too upon those who sit in cold ranges and keep score, whilst at the end of the event guns have to be cleaned before being returned to safe storage prior to their owners returning to a land of less liberty. 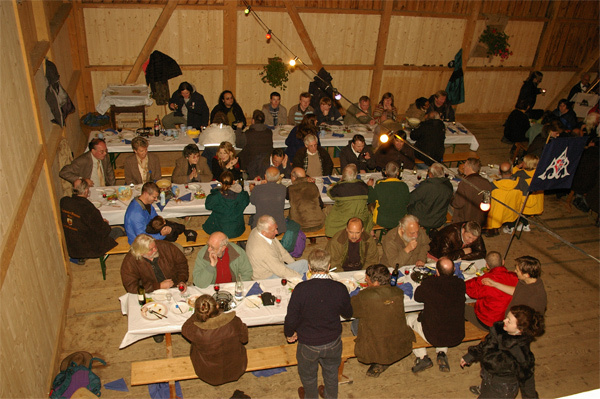 After the shooting is over there is one last celebratory gathering on the range in the golden twilight of an autumn evening. 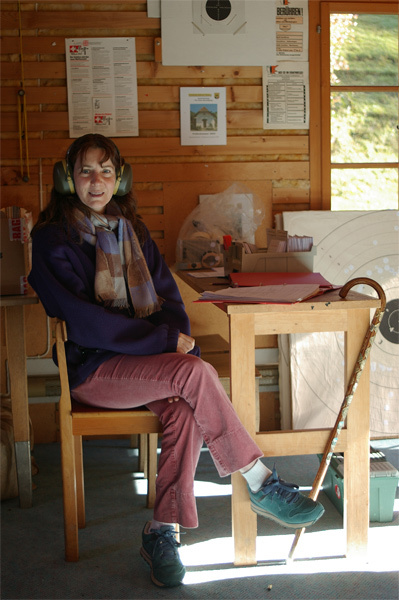 Use the buttons at the top of the page to visit the rest of my website!